When using lattices, it's quite important to keep the outside undeformed where necessary. Ideally two rows of verts, not one. If you don't, the deformation will extend to infinity and beyond. 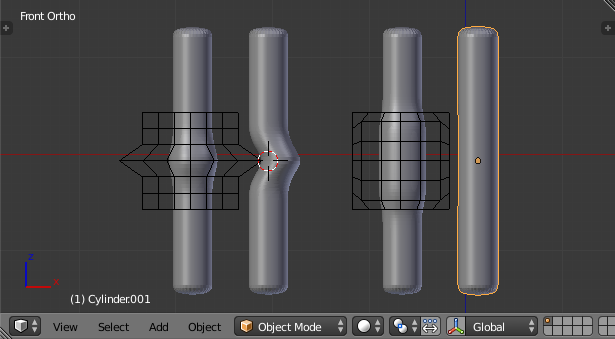 As you can see, the left lattice still deforms both cylinders. The selected cylinder is almost but not completely untouched. Two rows are bullet proof though. Hm, the end of that animation should yield interesting results. Give your bowel a Cast modifier, with the empty as the Object. 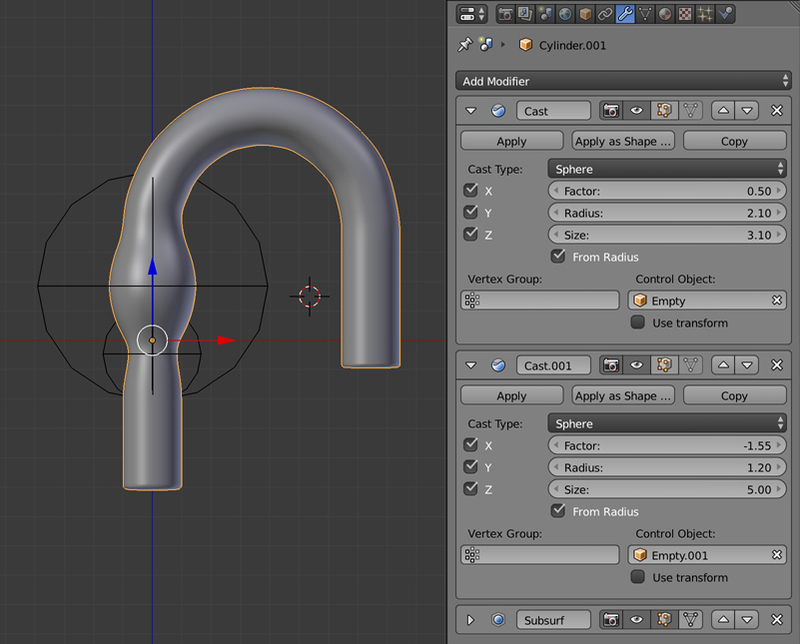 Put it above the Subdivision Surface modifier. Play with the different factors of the modifier so that it has the shape and influence you want. You can even create a second empty with a negative Factor if you want your bowel to contract (it doesn't seem like you need it this time though). Move your empty along the bowel (the easiest way is to make it follow a curve). Not the answer you're looking for? Browse other questions tagged lattice or ask your own question. What is the easiest way to create peristalsis (when food moves inside food pipe) like animation in blender? Efficiently Controlling a Lattice With an Armature? Can Lattice objects be non-equidistant initially? 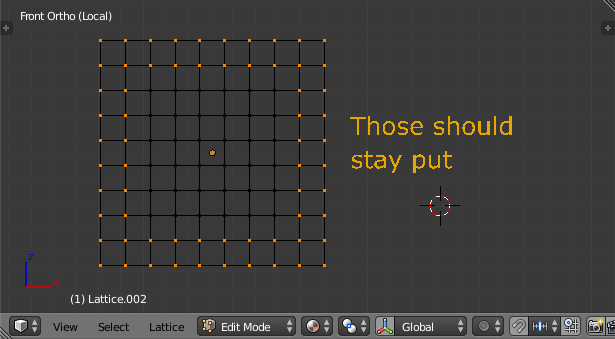 Why lattice coordinates differ in edit mode when selected?